If you have a short time (only one day) and your period is not in summer this proposal is for you! 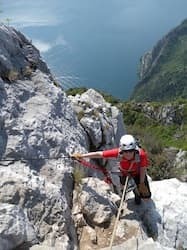 The via Ferrata Susatti at the mount Cima Capi is amazing and easy via ferrata directly at the Garda Lake. 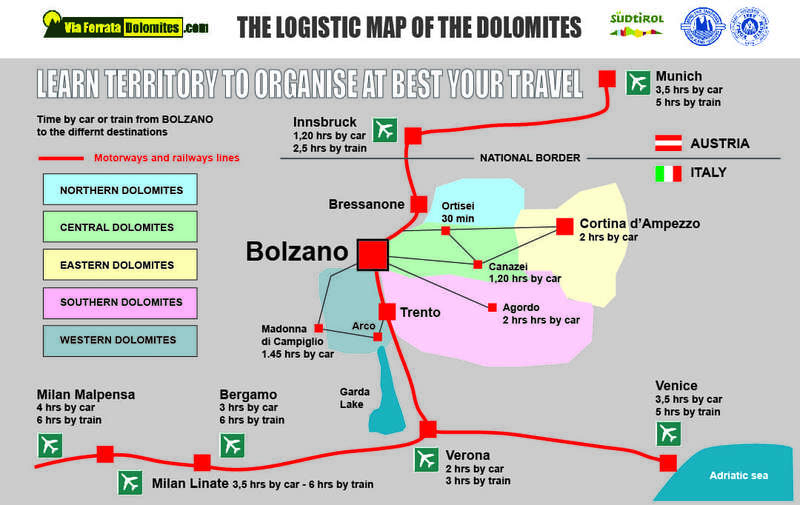 This was the war front line that cuts the major lake of Italy. 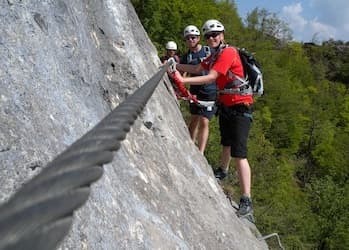 The particular micro clima of this part of the Dolomites with the low height of the mountain, permit to climb this via ferrata all seasons of the year. The video that you can see in my YouTube channel was shot in december, the participants was a group of students of the university of Bolzano. 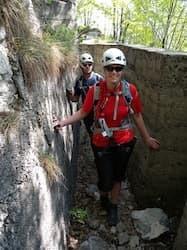 This tour is very interesting and we can extend it, after the via ferrata, with the visit of many bunkers in optimal conditions along the ridge after the summit of Cima Capi. 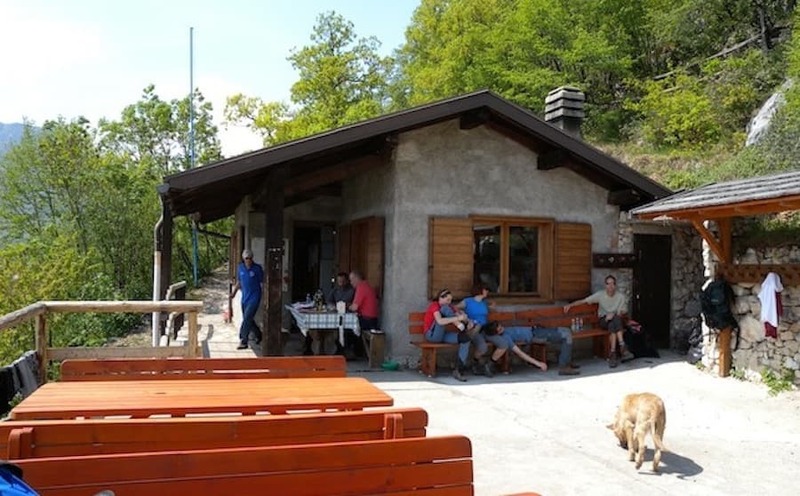 Along the descense we will find on our way the characteristic Rifugio of Cima Capi (private building of the local hunter association) where we can drink a coffe and eat our lunch packet in a fantastic panorama on the Garda Lake. 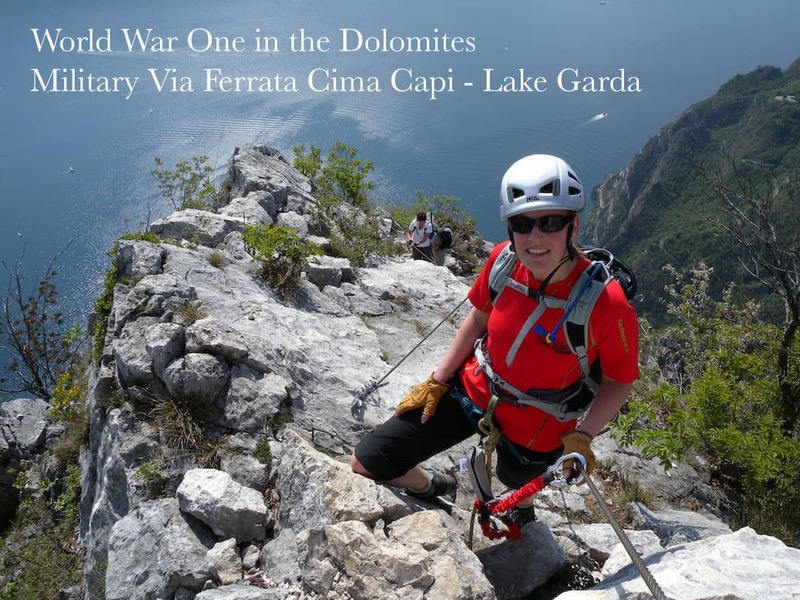 The days before and/or after you can visit the amazing lake Garda areas, no bad idea!